Phasers are commonly used on keyboards, guitars and other instruments to bring some movement and spatialization. 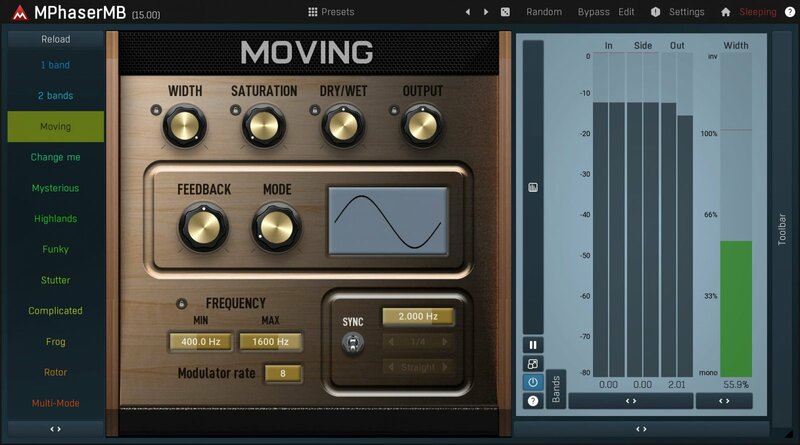 MMultiBandPhaser is an extremely versatile and musical sounding phaser, which is perfect for all kinds of audio material. 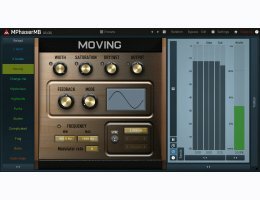 MMultiBandPhaser provides way more than common phaser effects. Up to 100 filters, analog-style saturation, custom oscillator shapes, synchronization, all of it in 6 distinct bands. More than you will ever need even if you decide to be really creative. And all of it sounds just perfect.